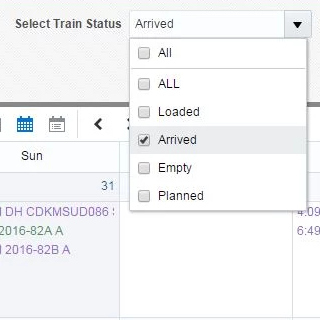 DTE Energy upgraded their train scheduling system, known as Automated Rail Receipts (ARR) application, from Oracle Forms 6i to 11g. This was in order to enhance and integrate their application with ADF. 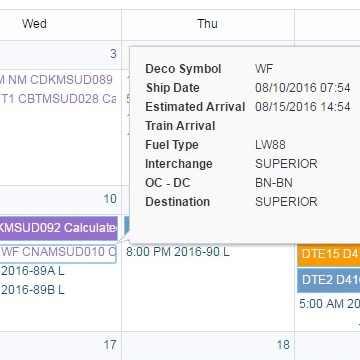 Leveraging the ADF calendar component, PITSS was able to design a user-interface that integrates seamlessly with the existing DTE Energy Oracle Forms application running on Fusion Middleware 11g. 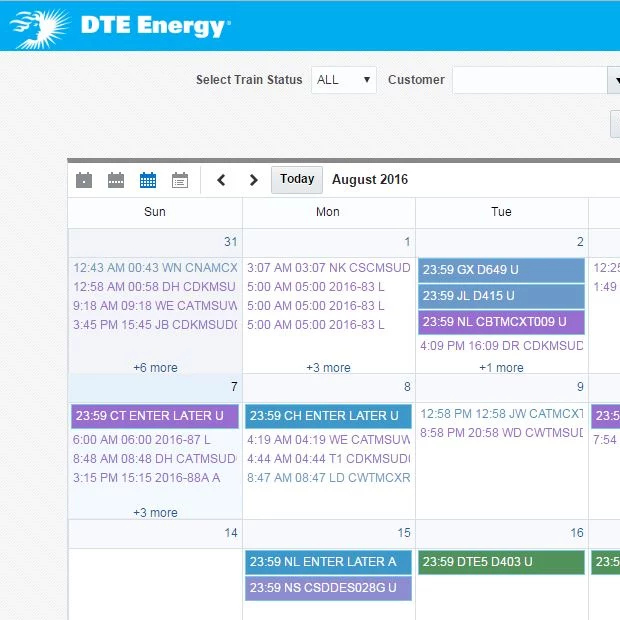 By enabling end-users to utilize state-of-the-art web functionality, like drag and drop and mobile device accessibility, DTE Energy significantly increased productivity for their existing business processes. 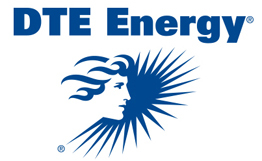 DTE Energy originally set out to replace an existing calendar system. This was a Java-based web application with limited functionality for the end-user. 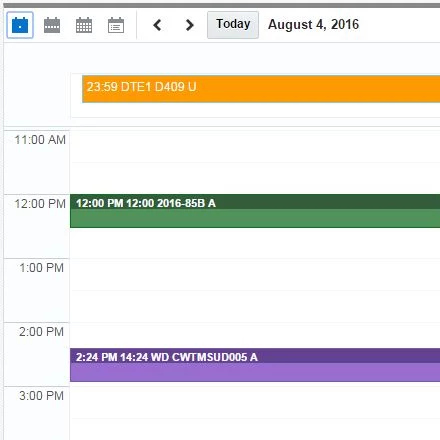 PITSS proposed a re-write of the existing calendar application based on ADF technology because of the many rich user-interface features that ADF provides. Also PITSS recommended ADF because of its seemless integration with the existing DTE Energy Oracle Forms environment. As a result, it also increased the accessibility capabilities through various mobile devices. DTE Energy’s integration use cases were to open the ADF application from Forms via automatic authentication and develop deep two-way integration hooks to allow Forms to invoke ADF logic, and visa versa. 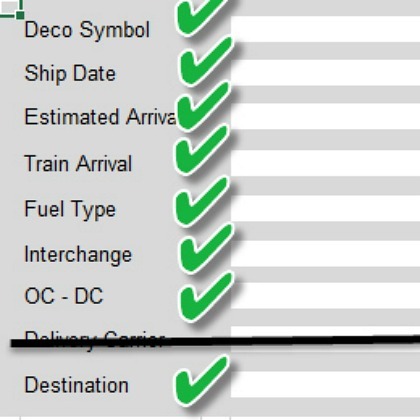 Two options could be used to provide automatic/single sign on functionality. The PITSS ADF project adhered to DTE Energy’s requirements. PITSS understood the business value DTE Energy wanted to receive from the integrated applications. As a result, PITSS provided a first version within a few weeks. Afterward, they enhanced, tested, and finalized the application for production deployment in less than 2 months. Next, PITSS introduced DTE Energy business users to ADF with the integrated Calendar application. They understood the business potential and benefits of an ADF User Interface integrated with Oracle Forms. DTE Energy is now planning further ADF development including ADF Dashboards and ADF Mobile applications.